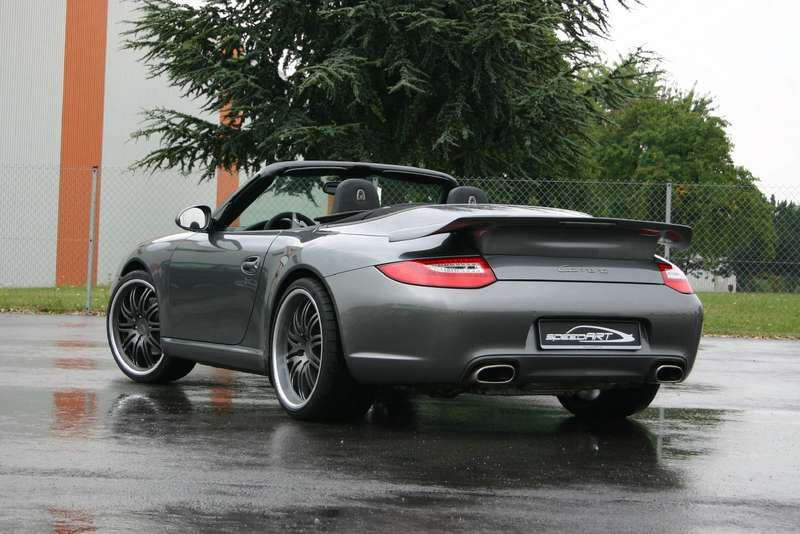 SAR-rearspoiler for a sportive design and a better handling with more downforce for 997 Carrera C2/C4/C4S (Exc. Turbo). This custom rear wing designed exclusively by speedART fits directly on the factory lid without modification. The existing wing is shaped into the RS wing and still is utilized for cooling. For the convertible, an extra lid insert is used to get additional clearance for the opening cover. The mechanics of the wing are deactivated since the larger speedART wing has increased downforce. All original pieces are retained and the unit may be returned to stock specifications at anytime. This piece comes complete with both English and German instructions for ease of installation. It is constructed of glass-fiber.